A new society which will explore leadership through experience at Cass Business School will launch in September with an exclusive MBA Leadership Masterclass delivered by renowned mountaineer Sir Chris Bonington. The Cass MBA Expeditionary Society aims to build a community of Cass MBA students and alumni interested in developing leadership skills through experiential learning in unique stretch experiences. Sir Chris’s distinguished six decade mountaineering career has included nineteen expeditions to the Himalayas, four to Mount Everest and the first ascent of the south face of Annapurna. He will be joined at the Masterclass by Dr Rodrigo Jordan, Cass Honorary Visiting Professor of Experiential Learning and the only mountaineer to summit Everest by all three routes. “In recent years the Cass MBA has been seeking to differentiate the Programme by building an explorer's mind set. Our Faculty use their leading research in the classroom and the programme has developed an adventurous range of global electives demonstrating Cass can be first or unique in creating extraordinary learning opportunities for our students. A Technology and Innovation elective in Israel & Palestine, Sustainability in Cuba as well as a further Entrepreneurship in Silicon Valley elective are popular examples. 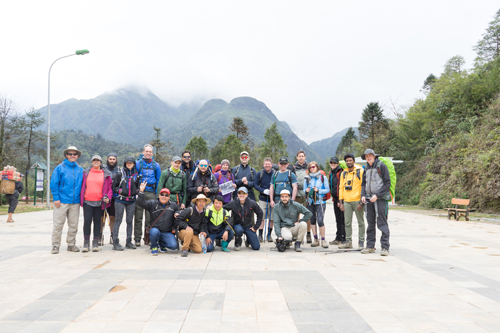 We have also added optional leadership development expeditions in the Andes, Iceland and northern Vietnam to challenge our students to strengthen their teamwork, communication and resilience. The exclusive MBA Leadership Masterclass is on 20th September at 6.30 pm in the Auditorium at Cass Business School, Bunhill Row. Please register here.